This is so sweet. Here is a video of Nollywwod star, Omotola Jalade Ekeinde singing for Eucharia Anunobi. 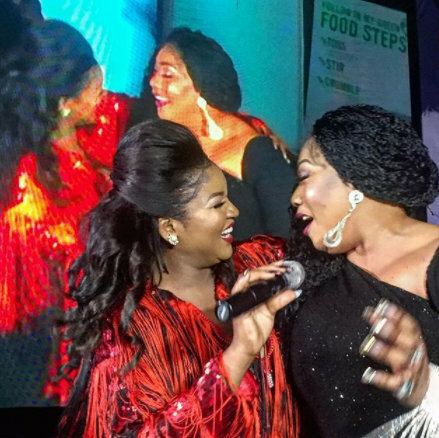 It is Omotola's birthday, but she was selfless enough to also share the spotlight with Eucharia.